Who saw that coming? Like many hugely successful, mass-consumer, tech things, it had surprise on its side. Above all it created ‘buzz’ – it’s the thing that everyone and the entire media, traditional and social, are talking about. Imagine the power of that buzz if we could harness it in learning. Maybe we can. 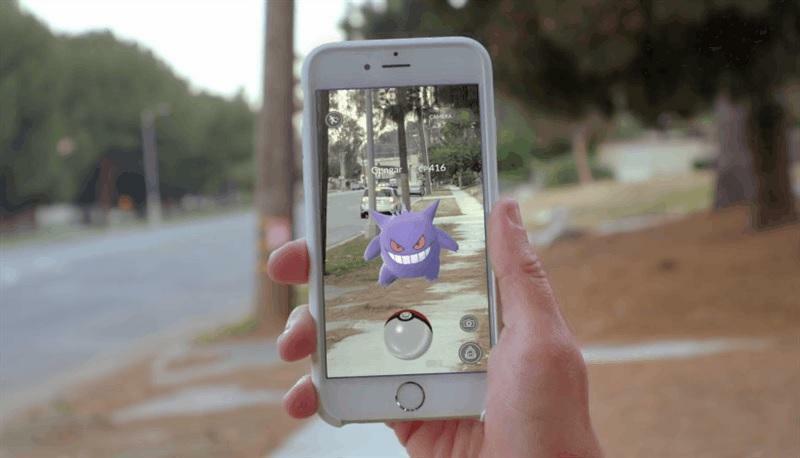 The genius of Pokemon Go, the Geo Catching app, is its use of AR (Augmented Reality), which has, within a few weeks, become a global reality. The melding of the real and non-real, through addictive gaming, has done what a million ‘research’ projects failed to do – capture the imagination. And this is just the start. AR through smartphones makes the real word come alive with augmented possibilities, wait until this is available through your glasses or straight to your retina. This may revolutionise consumer computing. At the risk of being accused of being a bandwagon jumper, I have been writing about the impending AR/VR revolution for years, so cut me some slack on this. Quite simply, this opens up immense possibilities and opportunities for learning. If we could take some of that AR ‘magic dust’ and sprinkle it on learning, we may, at last, lift and augment tasks that were traditionally passive, static and 2D into activities that are active, dynamic and 3D. The real world, in which we live, learn and participate is, after all, active, dynamic and 3D. You can literally superimpose anything on anything, anywhere at anytime for anyone. It is personalised learning in the extreme, with a huge does of curiosity, motivation and addiction thrown in. But it is more than a game – it’s a beautiful blend of different realities. Without getting into the several thousand-year-old philosophical problem of appearance and reality, this really (sic) does take AR from a tiny tech tributary into the mainstream. Its cleverness is in its layers of reality; consciousness (in itself a complete re-presentation of reality), maps (an idealised mapped representation of reality), the camera view (a photographic representation of reality), Pokemon and all the other imagery (superimposed upon the other realities), all eventually framed within your conscious view of these realities. In addition, it uses the internet (itself a created reality) and GPS (a created dynamic co-ordination path within both the virtual and real). One could add a social reality. Confused – don’t worry, your mind simply brings them altogether into one conscious, blended reality. Rather than look at isolated examples of AR in learning, let’s identify some species of learning that can be enhanced or augmented by AR. When we move beyond facts into explanations, causes, rules, processes and so on, text and even 2D images often fall short. Explanations, in varying degrees of depth, in physics, chemistry, biology, hydraulics, pneumatics, maths etc, can all be brought to life through the superimposition of explanatory diagrams, arrows, flows and explanations that are beyond text. This ‘contextual’ learning not only makes understanding easier and quicker, it is also likely to result in increased retention and recall. That’s what Pokemon Go and Augmented Reality have to teach us about learning. Take physics. Explaining Newton’s Laws and many other concepts in physics is not easy, as they take place in 3D and on a scale that is often impractical even in a lab. Allowing one to experience the laws of physics in the real world through the superimposition of augmented explanations certainly enhances and accelerates learning. Show the forces at work in a real situation when a bicycle is moving, aeroplane flying and so on. Augment the image of a real tree with augmented transpiration and photosynthesis. The fact that PokeStops are placed (by algorithms) at significant places, especially local landmarks, means that many report uncovering local knowledge and finding places and stories they never knew existed. 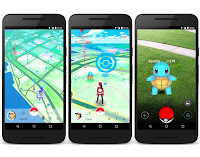 Pokemon Go, as you play it, becomes quite a complex realtime strategy game, where you learn the rules and have to problem solve in terms of decisions you have to make as a trainer. It’s a problem solving app. So, the idea that learners have to explore real environments to find out things they need to know, and apply that knowledge in those environments, is now possible. Education in a museum, art gallery, ecological location, virtual excursion, virtual experience, seems now very real and possible. The layers of meaning we can apply, conditionally upon any real-world object or place, in realtime, opens up all sorts of possibilities. One can solve maths, scientific, language, historical, architectural and natural environment problems with this approach. Learning a new language by getting out and doing things in the real world, gives immersion, context and retention value. What teacher couldn’t imagine a problem-based AR app for their subject? Pokemon Go taps into an instinctive, hunter instinct. Call it curiosity, whatever it is, it gets you out and about. You not only have to catch the damn things, you also have to hatch eggs. This works, not by motion sensing but GPS, so you can’t fool it easily. You have to be on the move – and not in a car or bus, as it knows you’re moving too fast. We largely learn by doing but are largely taught while doing little or nothing. To learn by doing is to move beyond our overly ‘talk-and-text’ or ‘chalk and talk’ education and training. This return to more appropriate forms of learning for things that we actually learn by doing, now in the real world, will be a welcome brake on the absurdity of the lecture, flipchart, page-turning e-learning and classroom, as the delivery channel for almost all learning. To actually DO experiments in science, practical tasks and learn skills, could revolutionise vocational learning, giving it a cool kudos on par with its academic partner. Google has already opened up its Virtual Field Trips to teachers but AR may prove more powerful at a local level or when on a school trip. The social dimension in learning can be enhanced, not by the predictably dull sitting at a round table with some mints in a bowl, but by actively learning in groups. 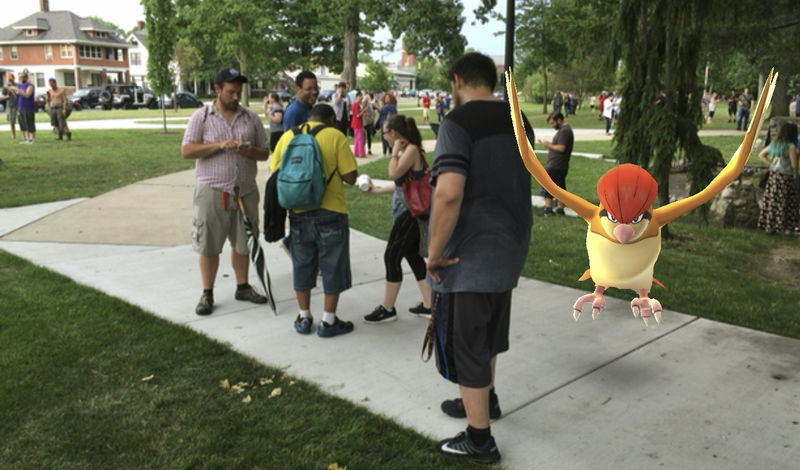 Augmented Reality, in Pokemon Go, has seen groups (Pokemobs) of all shapes and sizes out in the real world, search and complete tasks. There is even the suggestion that it has helped with social anxiety and depression. This app brings people out of their homes and out of themselves. It requires active, social behaviour and there are tales galore of it bringing people together, friendships and other social benefits. It’s not just a few nerdy types wandering about, it’s families and herds of folk on the move, talking, comparing, helping each other. If this can be harnessed for learning, let’s do it. Group tasks, even crowd-sourced tasks, are all possible. Interestingly, Pokemon Go has had all of its massive success without being able to trade or battle with friends, except when battling for a Gym. Although, one would expect that this will be possible in time. It won’t be long before tutors appear, to help you with your AR learning tasks. So, on your AR learning journey you may have, either a real or created tutor (AI-driven bot or avatar). That adaptivity may even be hidden from view, a sort of invisible helping hand. Adaptive learning in an AR learning environment makes sense, as one wants to make the learning more efficient, tailored to each and every learner. It means educating everyone uniquely with technology-enhanced teaching. You augment reality with either a real or virtual teacher, who acts like a teacherly satnav (in US, GPS). William James and others set great store by habits in learning. Mobile behaviour is highly habitual. Imagine learning driven by powerful habit, addiction if you will. Imagine language learning where you combine the gamification, real world interaction and personalised delivery that an AR driven Duolingo could provide, all into one package. Imagine how superior that would be to classroom learning, that great catastrophe in learning, years of language learning in classrooms with a failure rate that makes MOOCs look positively utopian on completion rates. We know that learning is enhanced, or forgetting slowed, by deliberate practice, over time. AR gives us the opportunity to practice, again and again, wherever we are. Spaced, timed practice may be possible with time-windowed practice routines. Repeating, with the intent to improve, may be offered at specific contexts to further enhance retention. Repeating a skill in different contexts, may also enhance that skill, and retention. Navigating streets as a way to learn geometry and then trigonometry, even more advanced maths, may prove motivating and efficient. Who would deny that we now live with unpredictable public acts of violence and terror? Critical services training for the police, fire and ambulance services could be fully simulated in real environments using AR to create realistic augmentation of bombs, fires, damage and casualties. With control layers, it can be used to test and train simultaneously, learning lessons about optimal tactics. AR’s realtime component is fascinating, similar to the excitement created by Real Time Strategy (RTS) games. It drives participation. You don’t want to lose out. Things may appear in a certain timeframe. Open World games like GTS may also spawn some exciting AR spin-offs. Pokemon Go is a complex set of tasks. You have to understand the rules of the game, play it well and navigate a created world within the real world. In gaming lingo, you are in an open simulation. Imagine being able to test learners (uniquely identified) in tasks in real time, to test actual performance in a chosen environment. I can imagine a Pokemon Go-like induction or on-boarding programme, where the task is to get round the company or workplace, learning as you go, being tested as you go, doing actual things, virtually, in the real world or both. Your assessment is not separate from performance, it is simply completion of the tactical and strategic tasks. One last thing. Remember the phrase ‘m-learning’? The next big thing – that never actually happened. All of that money spent on ‘responsive’ e-learning but few ever really take a course on their smartphone. Now there’s a reason to use your phone. It’s a powerful, personal and portable device that goes with you, in your own time, on your own personal learning journey. It is AR that may open the floodgates to new and fascinating forms of m-learning, that transcend the flat, page-turning e-learning content that is so often thought to be the solution. Nothing lasts forever and Pokemon Go, like Angry Birds and Candy Crush, will have a lifespan and will start to fade – the only question is how quickly. Nevertheless, it is the deeper implications of AR in terms of adoption, mainstreaming and behaviours, that we want to watch. They signal a future where AR and VR are not just games and gadgets but new media in themselves. AR and VR are two new mediums, not toys or gadgets. Online learning brought us the democratisation of knowledge, AR brings us the democratisation of virtual learning in the real world and VR the democratisation of experience. These are all excellent points. My own imagination ran wild about the implications for learning when I downloaded Pokemon Go (PG). Sure, PGo has a shelf life, like all "fads" - but the fabulous thing here, and what I'm anticipating, is that PG has now brought AR to the masses. An app that is scalable and arguably ubiquitous, and I'm excited for the next AR software that will make it even easier for people to interact in a "dual" reality. I'm hoping that we will soon reach the apex of the bell curve where anyone can use this technology to create their own games, or learning experiences. A trend I've noticed in my area is how businesses are capitalizing on this. I think this will also open a new world to marketers about how to use popular AR games/simulations to promote products and services, and the research that is done to figure out how best to leverage popular games will have implications on the L&D field for development as well. So for example, in Washington D.C. the Smithsonian National Zoo has somehow created a plethora of gyms and PokeStops all over the grounds to engage their visitors in a new way. What I am also surprised about, but interested in seeing how this develops, is that there is no P2P interaction in the app when you first start out. I have to believe that was a conscious design decision by the developers. I can also believe that there is a correlation in the lack of ability to interact with other players in the app and the reason people actually talk to each other more in-person. However, when I'm playing the app by myself in my super suburban area - it does feel lonesome when no one else is around. It's also a novel feeling to be "disconnected" from the online community I've become accustomed to since signing up for my first social media site in 2005. My last thoughts about PG are about the implications on the working brain. At times, I believe the use of this game can cause cognitive overload for the user. How does one navigate clearly between the virtual world and the real world? In this hybrid context, I think over times our neuro-response to switch tasks will evolve. However, at least for me, it can be difficult to navigate between the two. I also think there will be interesting implications for future iterations of similar popular AR games to see how they marry real world and virtual reality. For example, one article I read about PG said "Pokemon Go has real-world currency in the form of coins". 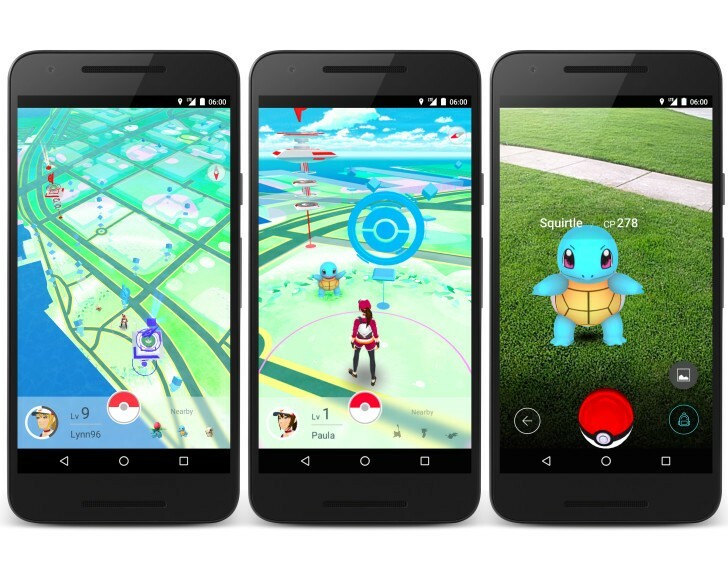 http://www.pocket-lint.com/news/138204-pokemon-go-how-to-play-and-other-tips-and-tricks. I think the possibilities are infinite for how we can imagine ways we bring what happens in the game out of the app, off the screen and into the real world, especially in a learning context. After experimenting with PG, I became excited by the thought of using similar coding to develop and on-boarding program. Can I overlay a digital version of my work work campus onto the real world version in an easy to use and free app? How would I help newbies to my organization complete their on boarding tasks? The most important element to this simulation would be the gamification aspect of course, but I would also want to facilitate P2P interaction - both in the real world and in the gaming environment. Anyway, I see that PG is more than a fad, I hope that this is just the tip of the iceberg when it comes to distributing AR-based applications. Could AI replace teachers? 10 ways it could? What does Brexit mean for education?